A new year and as usual a mad frenzy of media, TV and articles on the latest must-do extreme diets; extreme exercise regimes; dubious explanations of what works, what doesn’t, ugghh! I find it so wearing and can only imagine that most other people do too? It is no wonder that this overwhelm of largely contradictory information leaves people so frustrated that they give up by mid-Jan and go straight back to previous habits, good or bad. So I feel now is the time to remind you of my 4 Fundamentals to Good Health which, if you manage to address over time, your body will give back with bountiful energy, stabilized weight, optimal body fat levels and great balance of brain chemistry and hormones – what more could you ask for? Also, if you create the habit of these principles, whether it’s Christmas, Easter, birthday celebrations or commiserations, there will never be a need to ‘blow it’ and then have to claw back your ‘good habits’ and have that gut-clenching feeling of ‘oh no, why I did I do that to myself … here we go again’….. So here goes with a pared down super-simple reminder of what it takes to help your body help itself and a few new little gems that I have come across since I wrote the book: …. 1/ Keep you blood glucose (the sugar in your blood) under control: You can achieve this by greatly reducing your GPS foods Grains, Potatoes / Parsnips Sugars / Sweet Foods. Understand the significance of eating foods that significantly increase blood glucose levels:high blood glucose = insulin response = turning on your fat storage system and turning off your fat burning capacity. Depending on how many diets you’ve tried and failed on; how much greater your waist measurement is to your hip measurement; how long you have been eating GPS foods on a daily basis; how long you’ve been on a low fat diet – then you may have a degree of insulin resistance, meaning you are in a high insulin and therefore fat storage state for hours at a time. But this is not only an issue of fat burning, or not, high blood glucose levels are highly inflammatory, trigger issues throughout the body, including in the brain – hence Alzheimer’s being spoken of as type three diabetes. 2/ Nurture & nourish your beneficial gut bacteria on a daily basis: do not underestimate the power and importance of having healthy gut bacteria. From enhanced mood, sustained concentration, reduction in anxiety and better capacity to cope with stress, through to improving insulin sensitivity and fat burning, increasing energy, enhanced digestion and better balanced immune system. Our gut bacteria influence every system in the body, If you look after them, they will look after you. Plenty of pre-biotic foods to improve the good gut cultures. Prebiotics are fibres that your good bacteria feed and thrive on and in return they produce wonderfully beneficial by-products. Diversity is key, so go for a wide range of fibre-rich foods rather than just lots of one of two kinds. • A rainbow of vegetables i.e. a wide range of colours and textures. Different veg have different types of fibre that offer arrange of benefits. • Nuts and seeds of all kinds contain lovely fibre. To super-charge the power of the fibre, soak nuts and seeds overnight inn water at room temperature with a spritz of lemon or lime juice. In soaking, you are not only make the nuts & seeds more digestible with fewer anti-nutrients, you also have swollen fibres, full of water that goes to the gut to feed your bacteria. Chia and flax seeds are especially good to soak. They attract a lot of water and then create mucilage, a lovey gloop full of gel water – highly hydrating and soothing for the gut. • Pulses – known to be windy because of the high fiber content that can be challenging digestively if the balance of your gut bacteria favours the less than good. Some people have to limit pulses while some gut restoration goes on, but once assuming beans and lentils do not cause uncomfortable bloating or reactive bowel function, they provide great prebiotic fibres. Make sure they are really well cooked. • Inulin-rich foods – inulin is a well researched highly soluble fibre that has many gut health benefits. Again, it can be challenging with those with IBS-type issues, so use with caution. Rich in leeks, onions & garlic, under-ripe bananas, plantain, asparagus and Jerusalem artichokes. fabulous raw slaws becoming more readily available. • Mature cheeses, esp. if made from unpasteurized milk. Throughout all of history there is evidence of peoples all around the world fasting. It may have been for religious reasons, as part of significant ceremonies, to help purify and cleanse. Today many scientific studies have shown multiple and significant health benefits to fasting on a regular basis. nutrients and the environment for the beneficial gut bacteria to thrive. diseases such as Alzheimer’s and Parkinson’s disease. Intermittent fasting is a way of initiating all of the health benefits of fasting using various short-term fasting techniques that makes the process practical for the long-term. One of the most well-known the 5:2 protocol where 2, non-consecutive days a week, you eat about a quarter of your normal food intake. Based on the average female daily consumption of 2000 calories and men, 2,500 then women should aim to eat no more than 500 calories on a fasting day and 600 calories for men. The calories can be split throughout the day or eaten as one meal. The 5:2 protocol allows your gut to rest 2 days a week as you are putting relatively little load through your system on a regular basis. Having bone broth on these days is highly recommended on fasting days as it is highly nourishing but low in calories. The 16:8 protocol is what is known as time-restricted fasting. You do not reduce the amount you eat necessarily, but you restrict the time in which you eat. The 8 hour window when you can eat, allows for 2 good meals and a snack in the middle if necessary. The longer you practice this system of intermittent fasting, the less likely you are to need to snack in between, which will further enhance the benefits. If you feel you can exercise towards the end of your fasting period you will also enhance the benefits. Once you get good at this, try for 18:6 a couple of days a week for added benefit. Moving regularly, limiting long periods of sitting to no longer than 50 – 60 minutes without getting up and moving around a little. Doing some structured exercise is key, but doing lots and lots of something that is not very demanding has limited benefit. Short intense and muscularly demanding of big muscle groups is the way to go for triggering the fat burning switch, building muscle and improving overall health. This is known as High Intensity Interval Training (HIIT). There are many ways to do it, but classic HIIT exercise include the good but grim Burpees, squat jumps, high knee sprints etc. So much good info on-line about this type of training now, but something that is key to remember is to do short, hard bursts to trigger a metabolic response that goes on for hours and days. It’s the after-effect that counts, the post-training response is where the magic happens, so doing more, more often is not the answer. So there you go – take it gradually, work through these points and make them part of your life, not something to do like crazy and then stop and once you are comfortable and familiar with each change, then get going on something new. Getting good sleep, managing stress and improving the quality of your down-time are also massively key to long-term good health, I’ll write more on these soon – here’s to your very best and prolonged health in 2018 onwards. Fermenting is quite a thing these days. 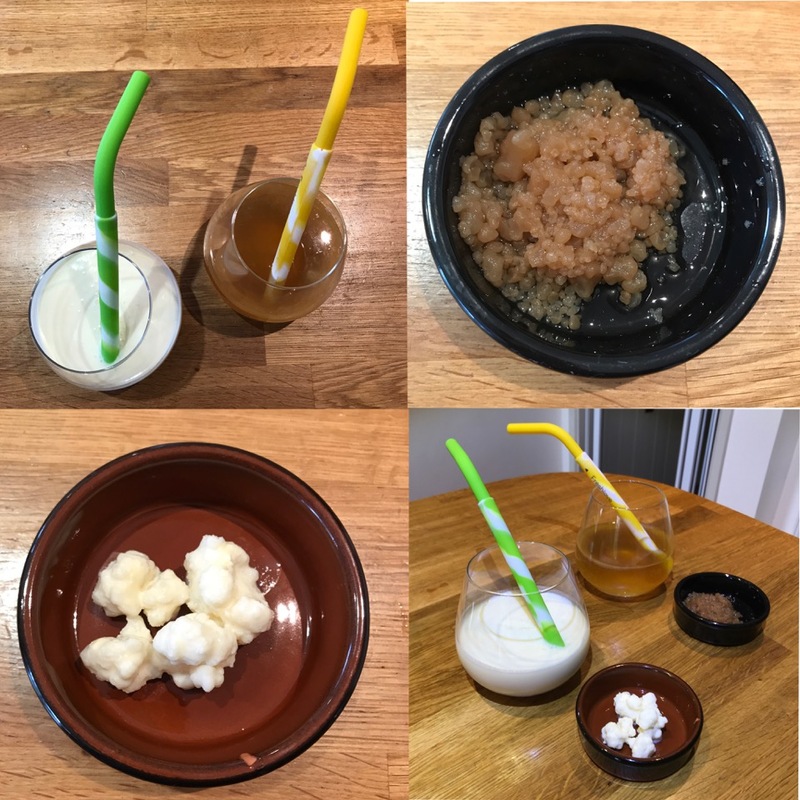 Kefir has been a big topic on The Archers for months now, so clearly the time has arrived to embrace the world of fermented foods. You can see my own dairy kefir here in my YouTube series ‘What’s In This’. This very ancient process of preserving foods is now well established to be astonishingly beneficial for our health. Many things, be it milk, vegetables, tea or even water can be transformed in to highly functional foods teaming with beneficial, health-enhancing bacteria. The process of natural fermentation encourages the growth of beneficial bacteria and yeast to eat up the natural sugars in foods and in the process of the bacteria and yeast breaking down the sugars, they produce really beneficial microbes that support our gut health. Good gut health equals good health throughout the body, esp. important for strong digestion, well balanced immune system and brain health. Pictured here are the 2 ferments I make every day. There’s dairy kefir – a highly complex sour yogurt-type drink that is teaming not only in very high numbers of probiotic bacteria but importantly, dairy kefir has a wide range of beneficial bacteria too. Your standard shop-bought yogurt will have 2 – 3 strains of bacteria. Dairy kefir can have more than 20! Kefir, as with ANY and ALL fermented foods should be SOUR. Through the process of the fermentation, sugars are eaten up. I am somewhat dismayed that the push for fermented foods commercially has resulted in bottles of dairy kefir now being readily available, but due to the challenging nature of dairy kefir i.e. a very sour, slightly fizzy, thin yogurt-style drink, this is quite a hard sell, so many commercial makers are not leaving the process of fermentation long enough for the sugars to be eaten up. This not only leaves way too much lactose (milk sugar) present, but more importantly, means that the beneficial bacteria count will be very poor. Ironically kefir means ‘pleasure drink’, but due to our modern palettes being so used to sweetness, the sourness of real kefir can be more challenging than pleasurable. If you have been buying kefir, merrily swigging away a delicious, creamy buttermilk type drink, you really are not getting the benefits of true dairy kefir. It is extremely simple to make. Those odd little slimy white balls in the photo are dairy kefir grains (I got mine from Happy Kombucha. This specific SCOBY – symbiotic combination of bacteria and yeast, are what eat up milk sugar. Therefore, you put these little magical bundles in some organic full fat milk, preferably non-homogenized, leave at room temperature for a couple of days and the job’s done. Strain off the kefir, put more milk in with the kefir and off you go again. These are living, breathing organisms that need to be fed. If they are not kept in milk, they will die. And once they have consumed all the milk sugar, they will need to be re-homed in new milk fairly quickly. What is so staggering about making true milk kefir with these grains, is that you can’t create the dairy kefir. These bacterial bundles are ancient are believed to have originated many centuries ago in the Caucasus Mountains. Every dairy kefir colony today has to have originated from the ferments from way back then. This makes sense as the kefir grains quickly grow through the process of eating up the lactose. This means that anyone making kefir with grains (rather than the powder) very quickly find they have too many grains to cope with, so pass on thier kefir grains to friends and family and so it keeps on going. Just 120ml a day of a good dairy kefir is enough for a therapeutic dose of beneficial bugs. You can use it in smoothies, add to yogurt, and blend up with berries or just drink. Your taste buds will quickly adjust. If buying commercially, look on the back of the bottle and see how much sugar is in the drink. The sugar content per 100ml should be below 1 gram. This is quite hard to find. For a really good product, try Chucking Goat – extremely therapeutic. The other kefir in my picture is water kefir. This has a similar taste to Kombucha, which is fermented tea, but a different SCOBY and I think easier to make. Kombucha is also gaining popularity and again, often has way too much sugar in it. To make Kombucha, sugar is added to tea and the Kombucha SCOBY, a big slimy disc, eats up the sugar and leaves fizzy, live tea. But as with dairy kefir, to make it more commercial timing wise and taste wise, there is way too much sugar remaining. Water kefir is also easy to make at home. You have to buy the water kefir grains, these are like little jelly crystals, and they eat up sucrose (sugar) rather than lactose. So to make water kefir, I put the grains in a glass jar with water and raw Muscovado sugar (this contains minerals as well as sugar) and the kefir grains eat up the sugar and thrive on the minerals and in the process, burp out lots of fabulous beneficial bacteria. The water becomes fizzy, sour and so, so delicious. As above, after a couple of days at room temperature, the kefir is drained off, the grains are put back in a clean jar, more water, more sugar and off you go again. I like to add lime or lemon juice to mine, which provides more fuel for the kefir to feed on and adds flavour and nutrients. 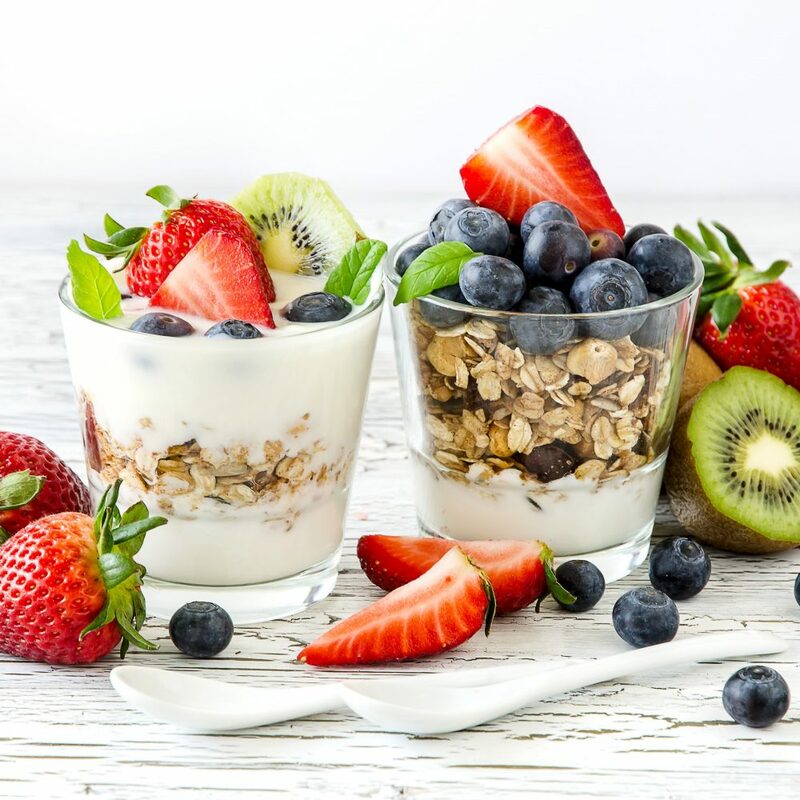 The other well-known and now readily available ferments are live yogurts, both organic dairy and coconut are good, but check for no added sugars. Then there are the fermented veggies – sauerkraut, fermented cabbage; Kimchi, a spicy fermented Korean dish and variations on these such a my favourite, Beet Kraut made by Laurie’s Foods – so tasty, so live and fizzing, you just know it’s doing you good – but don’t heat, you don’t want to kill off those beneficial bacteria. Raw apple cider vinegar, another great way to get live bacteria in to the system, and even mature cheeses contain good bacteria. Get your taste buds tuned in to these foods. The benefits are truly staggering and something to be made a part of your daily meals where possible. 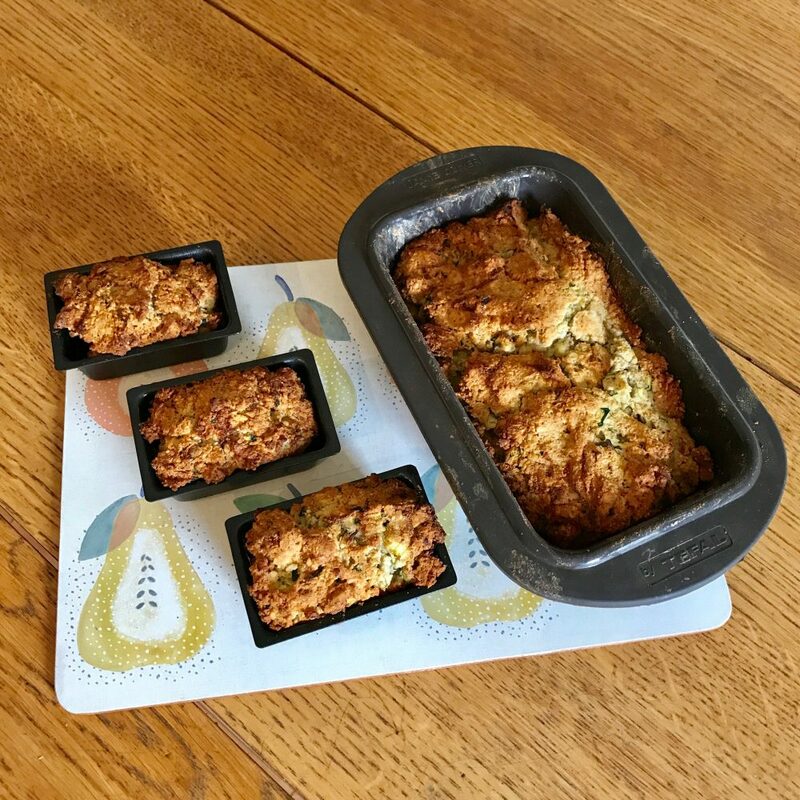 My sister’s zucchini bread – scrumptious! With Easter weekend upon us, I had some time to bake. I NEVER bake. Largely because I choose not to eat flours or sugars, so options are a little limited, although since the Paleo movement has taken off, there are a plethora of non-grain, low sugar recipes available online. Most of these Paleo recipes use almond flour (ground almonds) and coconut flour, this recipe is no exception. Don’t be tempted to replace wheat-flour with almond and coconut flours in a recipe that asks for normal flour as the non-grain fours absorb a lot more fluid so the recipe won’t work. However, even a Paleo recipe rarely becomes a priority for me, but when I heard about this flour and sugar-free ‘bread’ from sister, I couldn’t wait to make it. She lives in the US, so the recipe is using cups for measuring. I like using measuring cups. They are so quick and easy and readily available in the UK. In case you don’t know, zucchini is courgette. I imagine any number of other veg would also work, like carrot or beetroot, but I don’t want sweet bread, so courgette works for me. The original recipe also includes banana and some honey. I chose not to use either, so it’s more a savoury bread than a cake, but texture wise it is quite cakey, so up to you what you want to add in. This is so good ‘naked’ or with lashings of grass-fed butter. It is very filling, nourishing, full of fibre and good fats – what’s not to love?! Line a loaf pan with grease proof paper (I used one small loaf tin and 4 individual loaf tins). Sprinkle the top with pumpkin seeds (my sister only mentioned this after I’d baked it, hence non in the photo, but toasted pumpkin seeds are so good, it’s a great idea). Squeeze any excess moisture out of grated zucchini (I put it in a tea towel and squeeze). Whisk together the almond flour, coconut flour, shredded coconut, pecans, baking soda and salt in a medium bowl. In a separate bowl, add the eggs, honey, banana, coconut oil, almond butter and cinnamon. Use a hand blender to combine. Add the dry ingredients to the wet and stir to combine. Fold in the shredded zucchini. Pour the batter into the loaf pan. My mix was very stiff, so I added a little coconut milk. Bake for 40-50 minutes or until the loaf is set. My little tins took 25 minutes. Alcohol – how bad is it for health? I am often asked “which alcohol is best” or “how much alcohol is ok”. Well, neither of these questions, as with nutritional science in general, have a straightforward answer. There is very little that is black and white in nutrition and when it comes to alcohol, there is no consensus on whether a moderate amount of alcohol can be beneficial to health. There certainly are some studies that suggest there might be some heart protective and blood pressure lowering benefits to a moderate in take of alcohol. Equally there are many studies that highlight the inflammatory and damaging effect of drinking alcohol along with the potential for increasing caner risk. There is surely something beneficial in the absolute pleasure some people get from having their favourite tipple now and again but what is universally recognized – sola dosis facit venenum – the dose makes the poison. It has always amazed me that people who know they feel dreadful the following day if they have been drinking, still choose to drink. Some people metabolize alcohol far better than others. There is a certain amount of tolerance that can build with regular exposure, not something to aspire to, but some people are lacking a gene that allows for efficient liver-breakdown of ethanol. It is these people who will get drunk quickly and suffer badly. For those that do have the gene, it doesn’t mean just because you don’t get terrible hangovers, that the alcohol is not taking its toll on the body. What is considered moderate is a key part of the alcohol conundrum. The recommended weekly units, for both men and women is now given as 14, spread over the week, rather than consumed in one hit, allowing at least 3 days a week alcohol free. 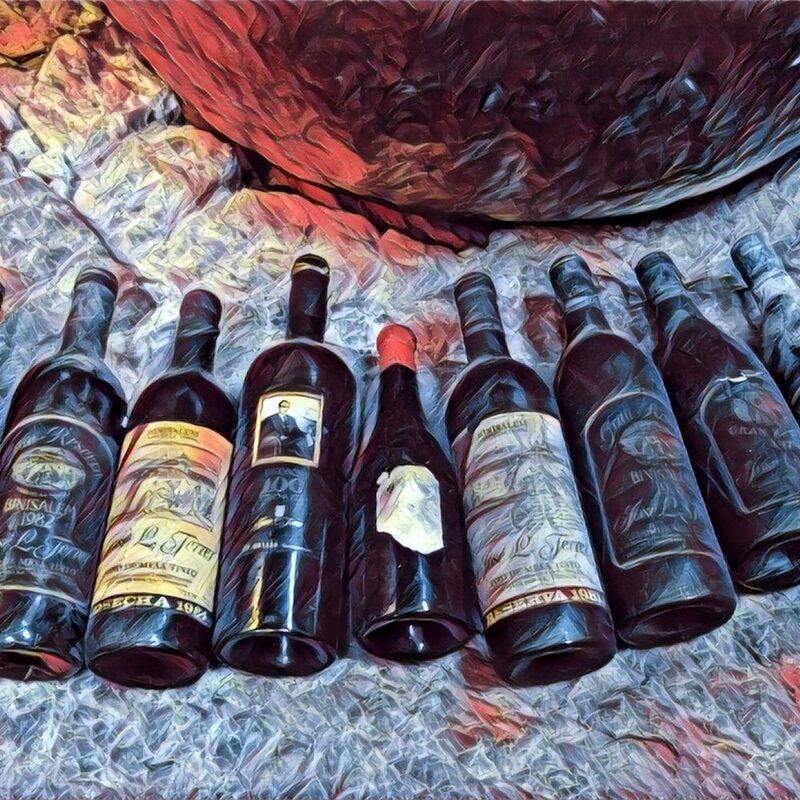 To turn units in to something tangible, an average bottle of wine contains around 11 units, making a large glass of wine (250 ml) around 3.5 units. A pint of beer, obviously dependent on strength, is around 2.5 units, a pint of strong cider around 5 units and a standard (35ml) shot of spirits, 1.5 units. As alcohol is so deeply entrenched in our social and celebratory habits and our sense of treating ourselves, as a reward or as a means of relaxing, it has become a very normal, acceptable even expected part of many people’s weekly and sometimes daily routine. This normalizing makes it very easy to forget the indisputable fact that alcohol consumption poses a significant challenge to the body. Alcohol, in its purest form – ethanol, is an aggressive, complex toxin that demands a huge amount of concentrated energy from the liver to break down the ethanol in to something that can be safely eliminated. And while the liver is busy detoxifying alcohol, its many other vital functions are at best on slow-down and at worst, on hold. If you have consumed a lot of alcohol in one sitting, your liver could potentially be engaged in this process for days. If you are then drinking regularly, the liver may never be getting a chance to fully detoxify and regenerate, as it should be doing on a daily basis. Over time, this can lead to fats building up in the liver, this further affects function and has a negative knock-on effect on blood sugar management (a fatty liver can contribute to type 2 diabetes), and inflammation within the body will increase, which can show up as pain in any number of ways and often weight gain. So, coming back to the questions, “which alcohol is best” and “how much alcohol is ok”, there really is no best but there are slightly better than others. Much has been made of the health benefits of red wine. The truth is that the antioxidant, Resveratrol found in red wine and associated with heart protection, reduced blood pressure, risk of clots and lowering cholesterol is present in such tiny amounts in wine that to get a therapeutic dose equates to around 15 bottles, so clearly, that’s not an option. There may still be some benefit gained from the resveratrol in a moderate amount of red wine, but it isn’t a good enough reason to hit the bottle in the belief it’s protecting you from chronic disease. As above, there is a positive association with the pleasure a nice drink offers but the reality is that alcohol is tough on the body and doubly so when you factor in the sugar found in most alcoholic drinks and/or the mixers added to drinks. In some respects I object more to the juices, like cranberry or orange added to spirits and the artificially sweetened as well as fructose-sweetened tonics, which play havoc with blood sugar, hunger etc., as much as the alcohol itself. There are a lot of nutrient-devoid calories in alcohol, alcohol stops us absorbing certain nutrients and with such an aggressive inflammatory toxin at the heart of all alcoholic drinks, it makes you wonder if alcohol were discovered now, would it ever be made legal. Alcohol is preferentially burned off before any other calories and this ensures there’s no chance of burning any fat while there’s alcohol in the system. A big hit if alcohol on a regular basis could inhibit your ability to burn fat 24/7 – and that is not taking in to account the empty calories and the negative effect on blood sugar. That makes it a big no-no for anyone trying to lose weight. Alcohol also increases appetite and inhibits resolve, so the chances of resisting the bag of crisps, chips, kebab …… becomes highly unlikely. For most people, most of the time, as long as you are healthy, digestively functioning well and eating good, wholesome foods to replace the nutrients that alcohol not only stops you absorbing, but actually utilizes as part of the alcohol being metabolized, then a small amount of alcohol, a few times a week is probably fine. If the body is strong and well nourished, it can cope. However, it is the highly stressed, fatigued, immune-compromised, digestively challenged physically and mentally run-down who are often resorting to alcohol the most as a means to coping with life’s pressures. These are the very people who are most vulnerable to the damaging effects of alcohol and to the temporary numbing affects becoming addictive – so be warned and be honest with yourself about you drinking habits. • A simple but effective tip to somewhat ease the harsh impact of alcohol on the body, is to never, never, never drink on an empty stomach. If you know you’re going to be having a pre-dinner drink and you’ve not eaten since lunchtime, then eat a small handful of nuts (even roasted and salted peanuts are better than nothing) or a piece of cheese, some olives – anything that contains fat and protein. This will ensure your stomach is closed and retains the alcohol rather than hitting the bloodstream and liver in one immediate assault. 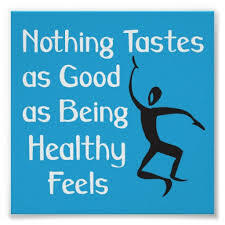 • As with eating, drink consciously. Mindless swigging will inevitably lead to excesses, so really savour every mouthful. It tends to help if you have something pricey and delicious rather than cheap and average. • Match all alcoholic drinks consumed with the same quantity of water. • Allow at least 3 days a week of no alcohol. • Anyone drinking alcohol on a regular basis should take extra measures to support liver function. Milk thistle is a well-studied herb, shown to enhance liver detoxification processes and liver cell renewal. My current favourite liver-booster (also fantastic for pancreatic, immune and inflammatory issues) is Black Seed Oil. In the world of fruit and vegetables, there is a definite hierarchy of popularity which determines what exactly we buy when out food shopping. Typically in most baskets and trolleys, you’ve got apples, pears, potatoes amongst your ‘classic’ staple five a day, but there is one grouping of fruit and vegetables that for years has gone under-appreciated and (more crucially) under consumed. Known together as ‘purple superfoods’ thanks to their colouring and incredible nutritional value, this grouping consists of foods such as blueberries, aubergines, red cabbage, and beetroot amongst others. Although perhaps not as attractive as more brightly coloured ingredients, the reason for the comparatively muted bluish-purple colour is due to the presence of antioxidants within the plants. Absolutely integral to the body, antioxidants are prized by experts within the farming industry, who have pointed out that a sole cup of foods containing these can ‘speed up your metabolism, whilst lowering your blood pressure’. Capable of breaking down more harmful molecules (known as ‘free radicals’) within the body, antioxidants are key in ensuring the health of the entire body, from the eyes down the prostate. With every cell in the body producing these damaging free radicals, it comes as no surprise that the NHS has long advocated for people to eat more foods with a large supply of antioxidants. Furthermore, that’s not even to mention the rich level of high-quality nutrients that can be found within purple superfoods. Vitamins of all sorts can be had from even the smallest portion of these natural treasures, and go a tremendous way in fighting against all forms of diseases. Aubergines for example can do wonders for your iron levels, containing ‘Nasunin’, which maintains existing blood vessels as strong and healthy, whilst restricting the growth of new cells that could go rogue and lead to health complications. Being full of fibre and with a low quantity of fat makes this an ingredient suitable for those with dietary issues such as diabetes. Purple superfoods are indeed incredibly useful in such a case, and are virtually suitable for even the most restrictive of diets. Indeed communities around the world have long valued purple coloured foods as an integral part of their diet. On the island of Okinawa, near Japan, residents have one of the highest life expectancies anywhere on the planet, thanks to the copious amounts of purple sweet potato they consume. Thanks to the ‘Anthocynins’ within, these potatoes have been found to be excellent at stimulating blood flow and keeping grey matter healthy. It’s not uncommon for the citizens of Okinawa to live to 100 and in good health, accustomed as they are to very frequent helpings of rich purple super-foods. Last but by no means least, it should be taken into account that purple super-foods of all types quite simply taste good, even delicious in the right hands. True, they may not at first appear to be the most aesthetically pleasing, but with a little culinary persistence, there are countless exciting recipes that can be put together with these foods as an accompaniment, or even as the centre-piece of the meal. More and more vegans and vegetarians have come to rely on these foods as a core source of nutrients, but meat eaters too should not be averse. When we consider that within the UK some fruits are thrown away 25% of the time, perhaps it is time for a change up in the kitchen? A little experimentation can go a long way, and provide you with not only a tasty dish, but one that can do incredible things for your overall health. Super Slimmers – Did they keep the weight off?…. On Tuesday February 14th 2017, channel 4 aired a television programme looking at people who had lost a lot of weight on slimming plans. Many of the people had been given the title ‘super slimmer’, winning television shows and being featured in magazines and newspapers. On following up these people some years later, all of whom had lost significant amounts of weight, in some cases 5 – 10 stones, they had all regained the weight and even gained back more. 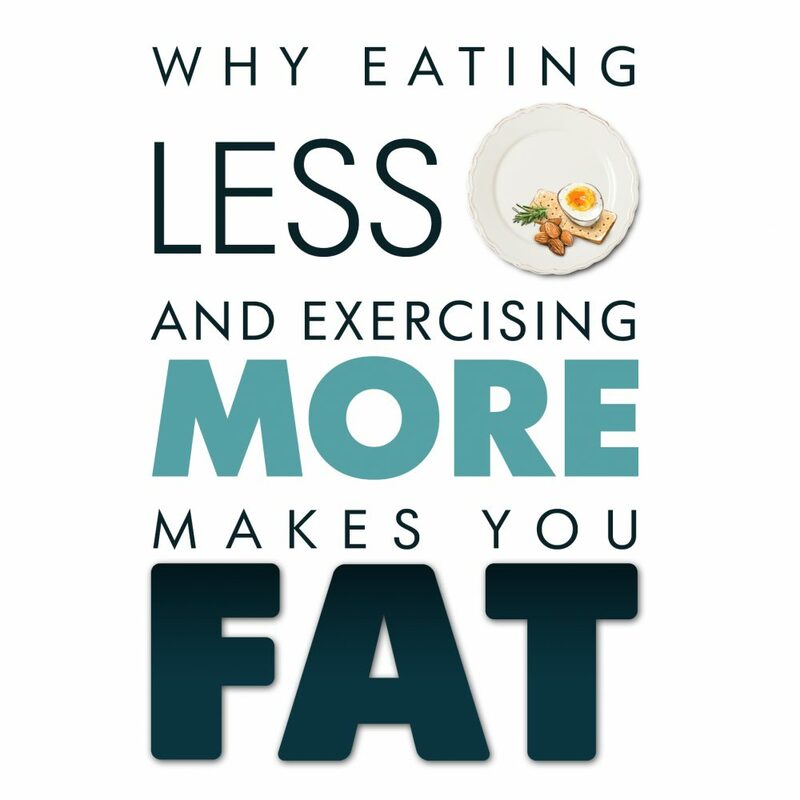 I was pleased that the programme addressed the science behind why this is so, and it was heartening to hear that all the research confirms what I have believed to be true for years – when you EAT LESS & EXERCISE MORE, THE BODY SLOWS DOWN metabolically. Hence, eating less and exercising more may allow initial weight loss to occur, but over the long term, you just get fatter. So if you were dubious about the title of my book, or thought it was just a provocative sales gimmick, now you know why I called my book ‘Why Eating Less & Exercising More Makes You Fat’ and, as briefly touched on in this TV programme, consideration of the hormones leptin, insulin and grehlin, as well as factors such as stress and timing of meals are what really matters – not calorie counting, low fat eating and excessive exercise. There is a small percentage of people who don’t regain weight after a diet. The scientific research suggests it’s as few as 5%. There are no explanations as to why those few do buck the trend. I have my own theories, as extrapolated in my book. On the television show, two male friends, both of whom had done the same diet, one lost and kept off the excess weight, the other didn’t. Although the expert professor said they had no idea why, I wonder if the gut bacteria of the individuals would have shed some light on the long term outcomes of dieters.